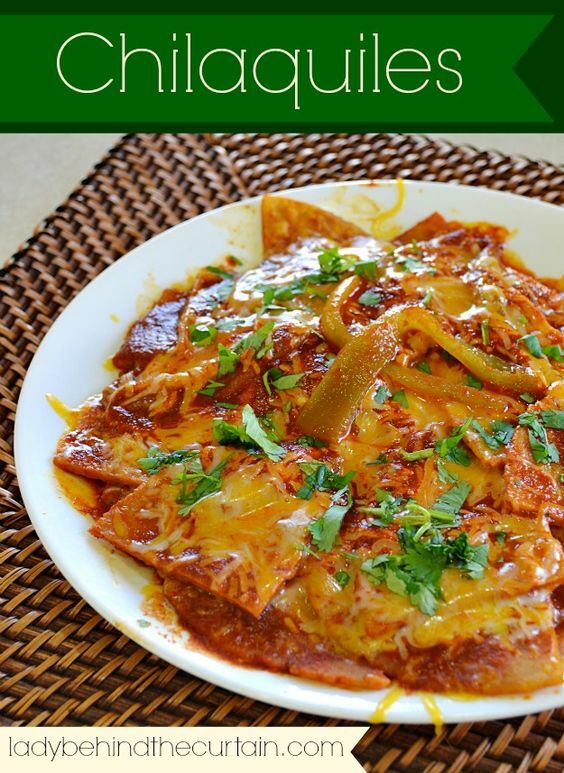 What is Chilaquiles you ask? While they don’t look like it I think they taste just like cheese enchiladas. I prefer to describe them as a NEW way of making nachos. Either way you are going to love these. Pour oil into a medium skillet. Heat oil on medium high heat. In a small saucepan heat the enchilada sauce and chilies. Once oil is hot enough to fry the tortillas, add 5 pieces at a time. Place on a plate lined with paper towels. Do this in several batches, adding a new paper towel to soak up any extra oil.